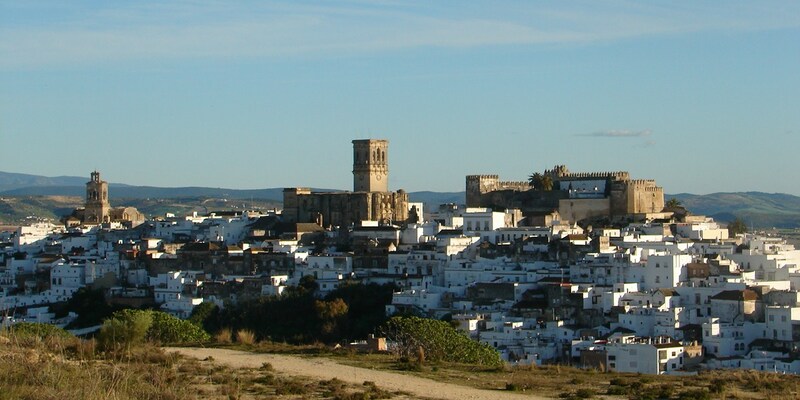 I had a check-off list of things-to-do when I was in Spain for 6 months. Bullrun was a top priority. Thankfully, everyone was interested. When the roads got narrower, we were anticipating how close we were to our destination. We were navigating through small alleys but still couldn’t sight the suspected crowds. We finally asked the locals, and we were told to go there, there and there, not by wheels …. but on foot. A little turn from where we parked and we saw the pandemonium. All of us must had our mouth open thinking Ahhh that made sense. 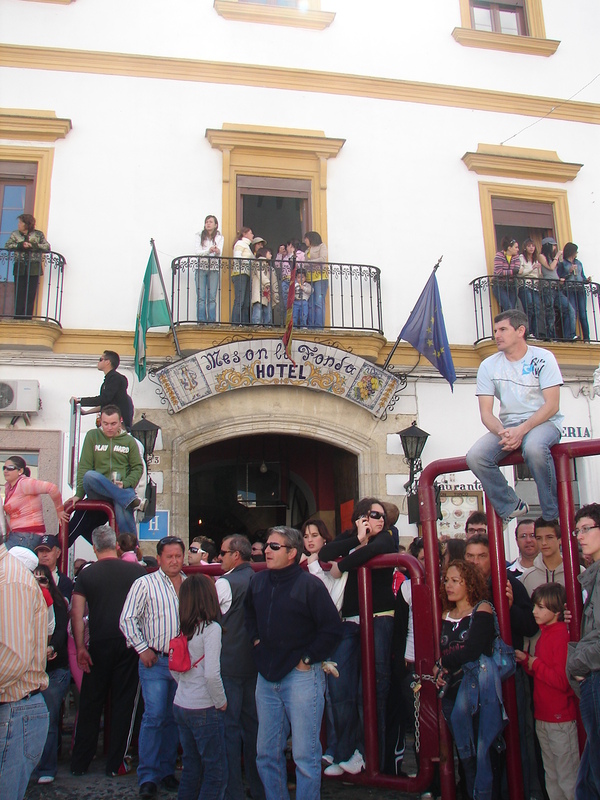 The long street where the bull is supposed to run was blocked by barricades and rails for the onlookers to be behind it. A lot of them are cramped in higher positions to where the bull can’t reach. Others are brave, willing and silly enough to be in level or near the bull. That’s where we got stupid. Fortunately, or should I say unfortunately, where we set to watch was where all the actions were. They released the bull, and it ran towards the center of the street where everyone seemed to have expected it’d stay. I, for one, couldn’t help but to step out of the rails and get closer to the action. 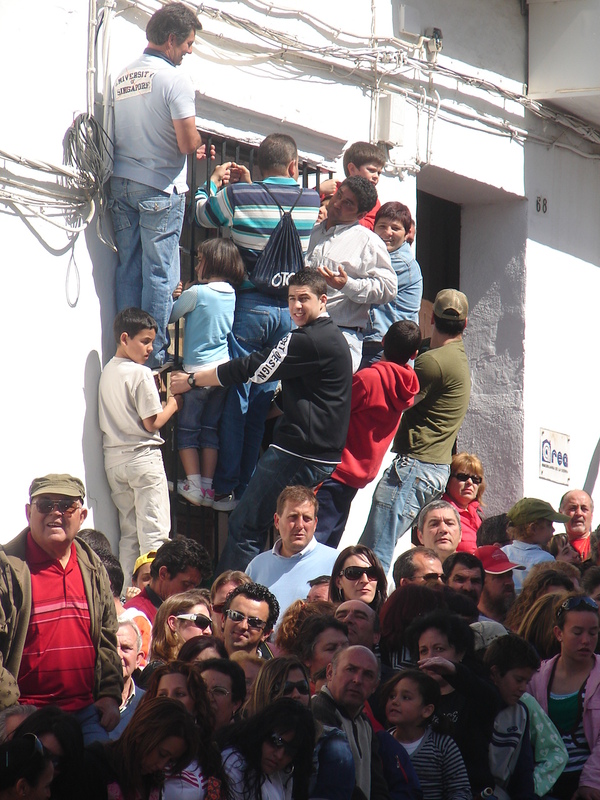 The machos would jump in front of the bull and off they risk to show off their bravados. What they do is get the bull’s attention by distracting it, making noises and the matador way of waving colors to attract the bull. Ultimately, the idea is to make the bull run its course in the street. In lesser pain of explaining, I took the liberty of taking a harder task of uploading and editing a video, something I don’t do. I wasn’t aware and active enough to run back behind the barricade that the bull had the chance of ramming his head against me with his horn on my legs. I could only imagine the wide eye OMG expression on my face when the aggravated bull was right in front. It didn’t register what just happened to me until I managed to stay alive from the attack. I think the bull threw me. My friend did got rammed too, and had an S-shaped scar on his left cheek. As for me, there was no major injury. No broken bones or even slight wound. 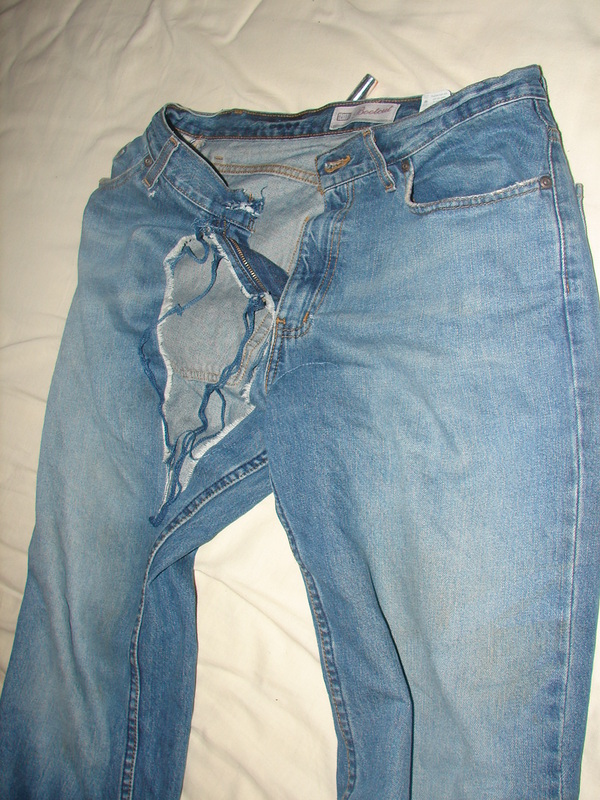 The damage was my pants which recounted a close call to my family jewel. So there goes my warnings. You’ve seen the pictures. I’ve uploaded the video for it. In case or any chance of you seeing the running of the bull, it’s up to you to stay back and be behind the bars or step out and risk it. I guess I’m supposed to suggest to be smarter and faster if you did involve yourself. It was a definite horrid moment at the time. Looking back now, I can only say that it was quite an adventure. Just thought I’d end the year with a BANG. Happy New Year everyone! Oh yeah, missed having entries after my 3-week hiatus. Thanks for all your kind words. Glad you liked the post. I was indeed eventful. Lol! well thats good thing you came prepared in that department. Did you enjoy your hiatus? I guess from the feedbacks here, It seems I would have a lively personal story to tell the little ones in the future as well. Maybe if possible, I can just show this blog. Hehe 😀 Hmmm, I now start wondering away. The ripped jeans tells it all, a solid piece of evidence. Ow btw, the medics and police approached us to a point that they put my injured friend inside the ambulance. It was surreal and serious. But he’s not badly wounded so we didn’t want any kind of tribulation whatsoever from the locals. Plus, we didn’t have our passport with us. WOW! Imma weeeee bit late on this one! Something told me to go back to this blog heehee! Your story is forever in the space of cyber 🙂 What WILL the children say?! I’m pretty sure the white houses have got to be mandated simply for dramatic effect. Blood-splattered houses are fascinating to look at, you know! and then they will say. I WANNA DOOOO IT! Thanks for the regards Jake. It’s an encouragement in a way because I do am going to try to ante-up my blog a tad bit. I’m so glad that I collected digital copies of the pictures and videos of the event that I get to watch it now and share it. I could just imagine what happened by looking at that “nice” trousers. You’re lucky your weapon wasn’t compromised. Sorry for the term! ^ The bull’s horn was not lethal enough. Bwahahahahah! Thanks for subscribing to my blog too! I know I wasn’t thinking clearly. It takes to risk… whoa .. unworthy risk? I say big risk. better than Hemingway book, you’ve got those pants to tell the tale. Close call! I enjoyed the adventure up until the rip in your jeans. . .
better than Hemingway book!? Whoa, a little too much. Hehe I appreciate the very very kind words. Hemingway must be shaking if he saw this in his time. Hehe. Poor bull, you were in his path when he was trying to run away! Glad you only got your pants torn and got to fly in the air! Great story for your kids and grandkids! I just saw a post from one of my featured blogger who went there but couldn’t handle the brutally and left the arena. Just make a note that it might not be for everybody.